Herts Level 6 & 5 took place on Sunday 16 September 2018 at Marriotts. 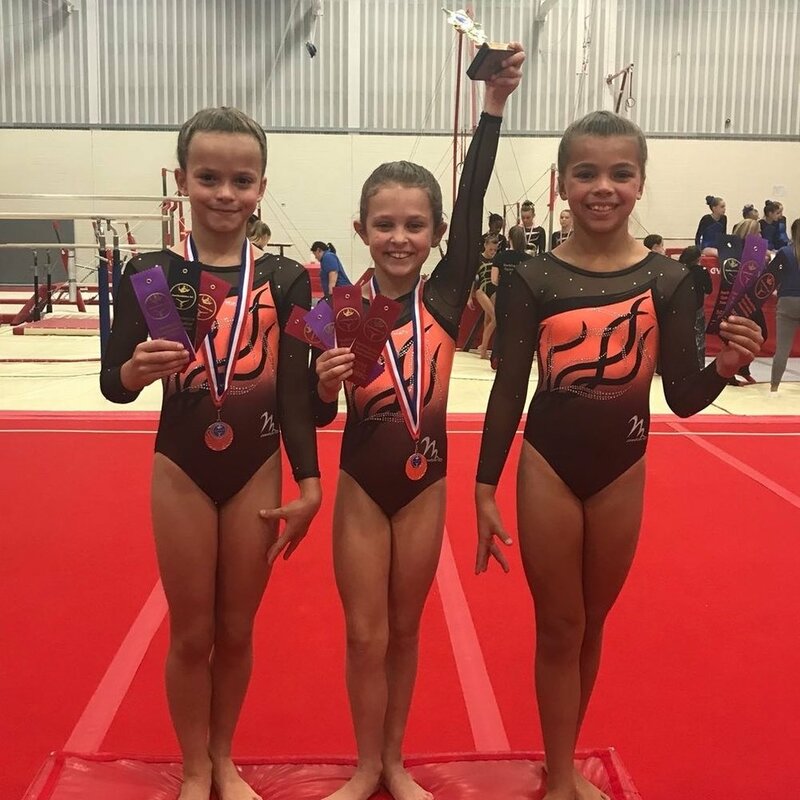 The top 3 in each age group go through to the Regional OOA finals at Pipers Vale on 21 October 2018. 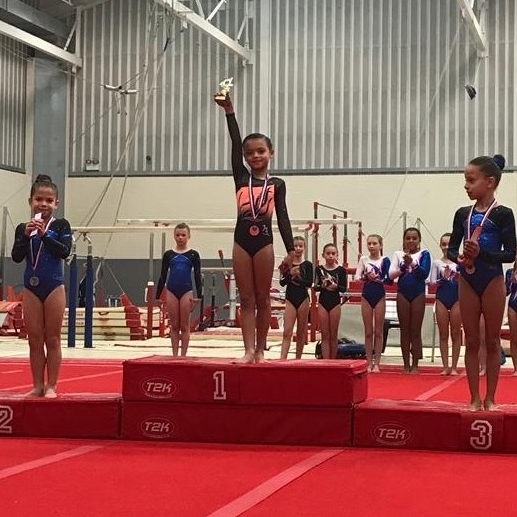 Yasmin was a guest at Level 6 age 7yrs and even though her scores did not count for medal positions in this competition she came out with the highest score overall in her age group with 1st on vault, bars and beam and 2nd on floor. 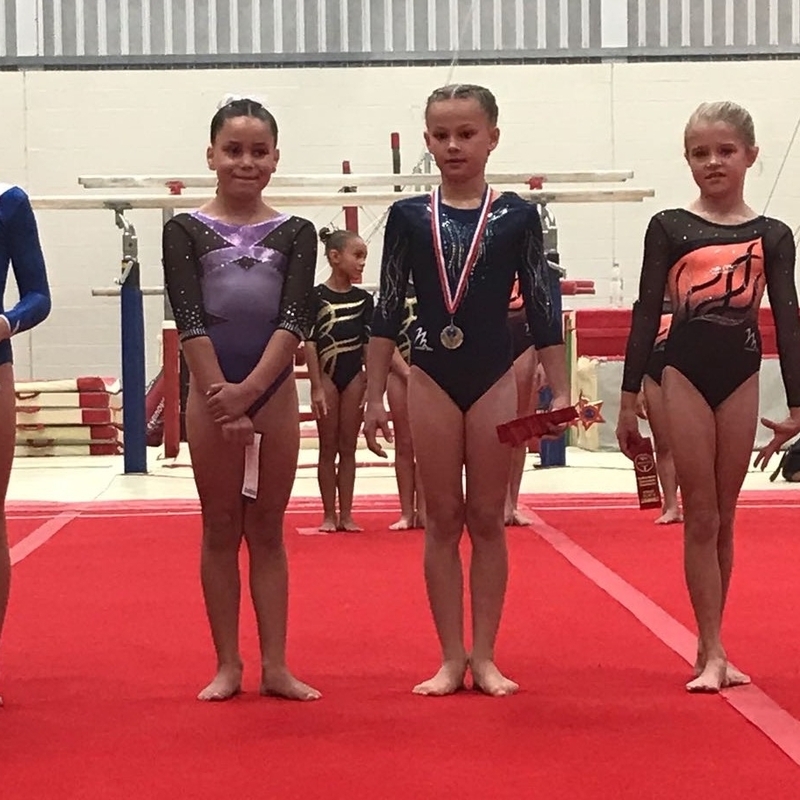 In the Age 8 group, Issy put in a brilliant performance to come away as County Champion with 1st placings on floor and 2nd on bars and beam. She also won the Ann hall trophy for 1st on floor and across all age groups at Level 6. With 22 competitors in the age 9/10 competition it was a tough catgeory. 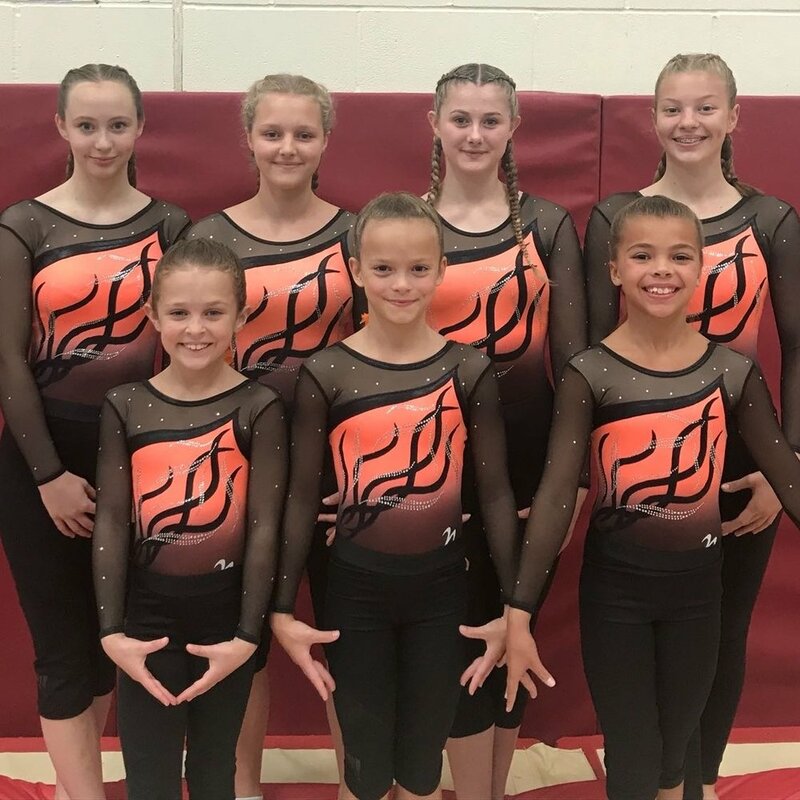 Lilia place 4th overall, missing out on a bronze medal by just 0.15 and is first reserve for regional finals and Harriet placed 6th overall with a 1st place for her bar routine. In the overall placings Isabella was crowned County champion with 1st placings on vault, bars and beam and 3rd on floor. 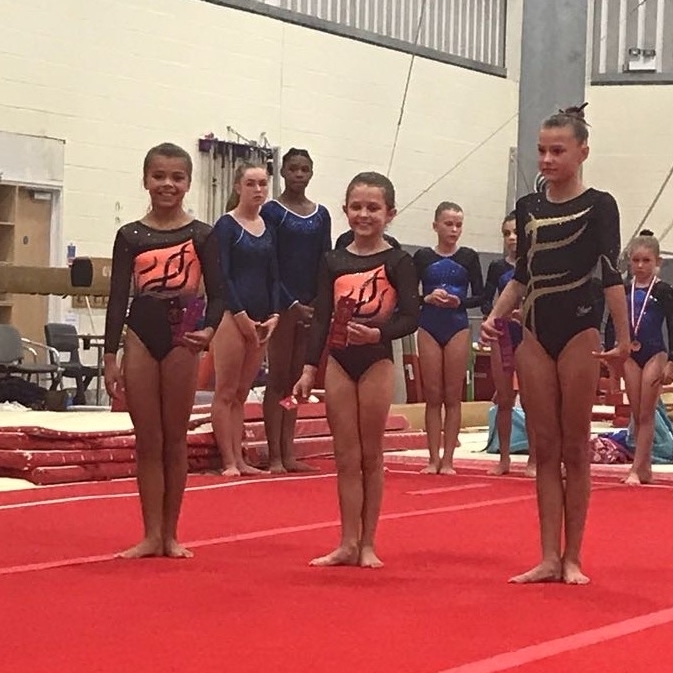 Teah was 2nd overall with 2nd on vault, 3rd on beam and 1st on floor and Lola ust missed out on a medal placing 4th overall and is regional reserve, with 3rd on vault and 3nd on bars and floor. 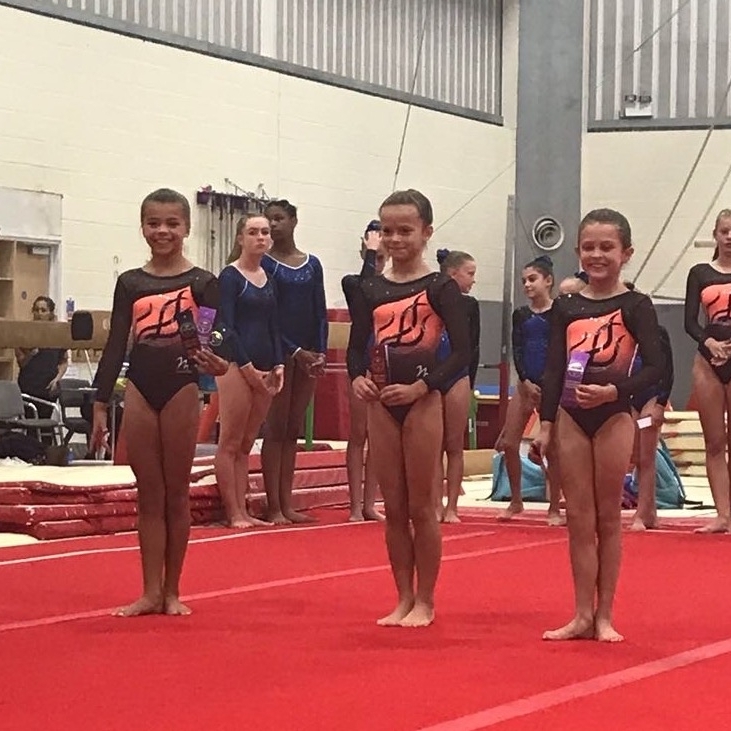 In the 12+ competition, Faye placed 4th overall and is first reserve for regional finals. There were 3rd place ribbons for Tegan and Freya on bars. 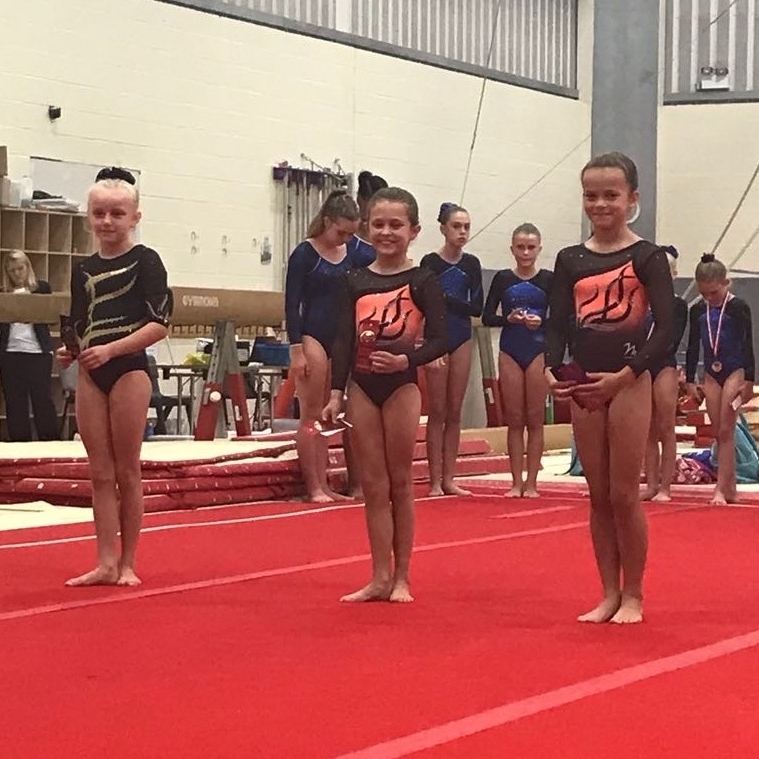 Freya placed 6th overall with Tegan and Eloise joint 13th. 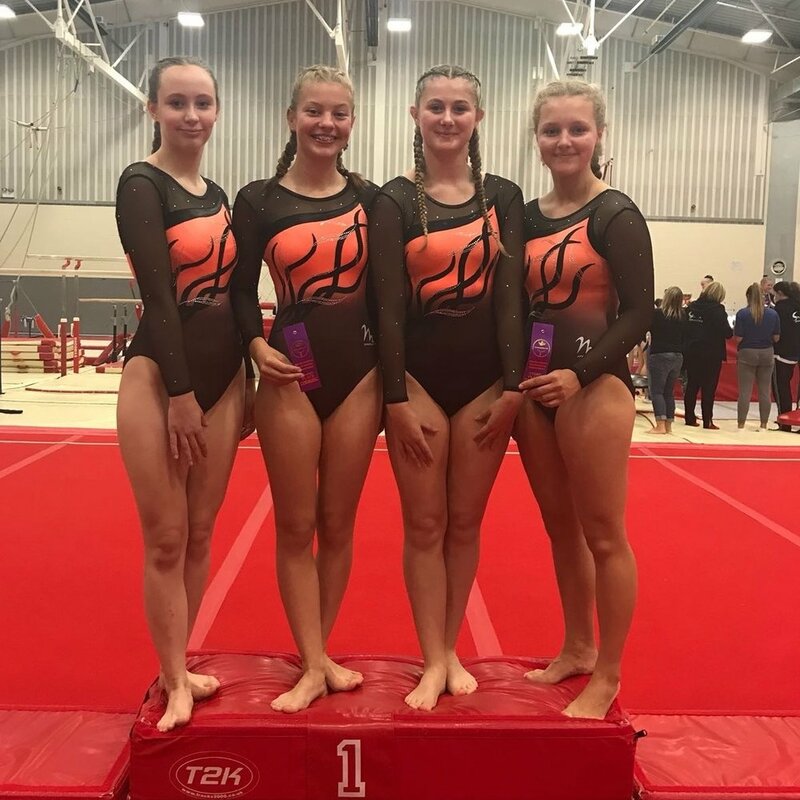 Well done to the girls and their coaches Sam, Tina, Corey and Kat for a fantastic competition and good luck to Issy, Midge and Teah at Regional Finals in October.